We just filled the third bus and now — maybe there are 2 or 3 seats left, but we have to shut down registration and put new callers on a waiting list. 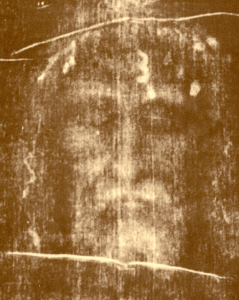 Janet and I, along with Teresa Tomeo are going to Italy in May to see the Shroud of Turin. What an exciting trip this will be! Here is an article about the million plus people who will see the Shroud this Spring. It will not be brought out again for about 25 years! We will land with our 150 pilgrims in Milan Italy. We will be in Turin for two days with the highlight of seeing the original Shroud the wrapped the body of Our Lord. Then to Assisi, then to San Giovanni Rotundo to venerate Padre Pio. Then to Lanciano to see the remarkable Eucharistic miracle before stopping at Montapello to see the Veil of Veronica. After this we spend 4 days in Rome where we will see the Pope. I get to show everyone our favorite places in the Eternal City and have Mass at marvelous sacred sites including the Catacombs. We are very excited. Click here to learn more. If you missed out on this trip, we still have a Rome/Assisi trip with Dr. Scott Hahn from May 23-June 1. Check also to view our Holy Land trips this year and especially our St. Paul Biblical Land Cruise in November.